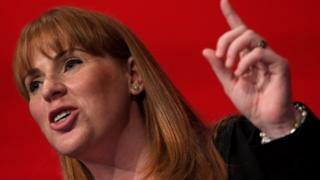 Labour MP Angela Rayner has become a grandmother at the age of 37. The shadow education secretary announced the birth of her first grandchild in an early-morning tweet in which she gave herself the new nickname, Grangela. 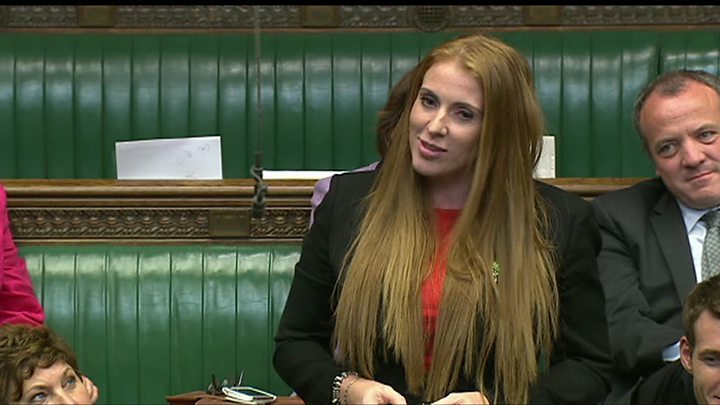 The Ashton-under-Lyne MP had her first son, Ryan, at the age of 16 and said being a teenage mother "saved me". Ms Rayner, now the youngest grandmother in the House of Commons, said her grandchild was born just before 06:00. The mother-of-three thanked "all the wonderful staff at NHS Tameside", adding the hashtag #Grangela. Earlier this year, Ms Rayner recalled her experience of being a teenage mother on a council estate, saying the birth of her son "actually saved me from where I could have been because I had a little person to look after". "I wanted to prove that I could be a good mum and somebody was finally going to love me as much as I deserved to be loved, and that's what pregnancy was for me." In her maiden speech, after becoming MP in 2015, she recalled being told when she was 16 and pregnant that she would never amount to anything. "If only they could see me now," she joked. Ms Rayner grew up on a Greater Manchester council estate with a brother and sister, and a mother who could not read or write. In a profile on her official website, she says: "For the most part, I was raised by my grandma who worked at three jobs to put food on the table and didn't stop until the day she died - three days before her 65th birthday. " Mrs Rayner, who left school without any qualifications has said that becoming a mother made her determined to prove that she was not the "scumbag" that people thought. Now a mother of three boys, Mrs Rayner is critical of politicians who think of teenage mums as "just failures" with "nothing in their lives". She has also hit back at attacks on her because of her northern accent. In her maiden speech in the Commons, the avid Star Wars fan said she would do things in her "own little northern way". She was appointed shadow education secretary in 2016 - becoming the youngest-ever holder of that position - and according to the New Statesman has been "increasingly spoken of as a future Labour leader".